Sean Connery got his first Bond car in the movie Goldfinger. The car included Revolving number (LU 6789, BMT216A, 4711-EA-62). The car also contained two forward firing machine guns, two back water jets, oil slick, smoke screen, bullet proof protect shield and radar. There also was a passenger ejector. The car returned in Thunderball, but was not seen for 30 years. The car made it's reappearance in Goldeneye and Tomorrow Never Dies as Pierce Brosnans day to day car. The Aston Martin DB5 has become a symbol of 007. Dubbed "The Most Famous Car in the World" it was stolen in 1997. New Bond, new car. George Lazenby was given an Aston Martin DBS. There are no known gadgets. The car was six cylinder version of the Aston Martin released in 1969. The car was used sparsely throughout the movie. Later Bond's wife Tracy would be killed in that car. Roger Moore got his first car in The Spy Who Loved Me. 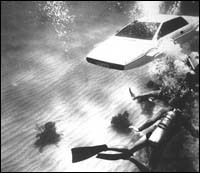 The car was both a land vehicle and a water submarine. The car had surface-to-air missiles, underwater smoke screens, torpedoes and depth charges. 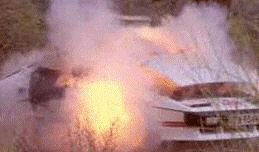 The white lotus return briefly in For Your Eyes Only before being blown up, then replaced by a red Lotus Turbo. Though Roger Moore didn't get a new car in Moonraker. Hid did get some other useful vehicles. The super boat was used by bond during his search for Drax. The boat contained mines which floated on the surface and underwater homing torpedo's. To stroll down the the canals of Venice, bond used a gondola. The gondola had a onboard power motor in the event that human power was unavailable. Also the gondola could transform into a hovercraft and could blend then stroll down the streets. You guessed it, new Bond meant new car. Timothy Dalton hoped into a Aston Martin V8 in The Living Daylights. The car was a more "winterized" kind of vehicle. Containing spiked tires, side skis, rocket propulsion. The car also had a few "optional extra's installed". These included Forward facing missiles and a Hub laser. 007 used this car to escape the KGB. He later shows gratitude toward his car by pushing the self district button. Pierce Brosnan took the role of James Bond in Goldeneye and got the keys to a new BMW. The BMW Z3 was a nice sporty blue car. It had stinger missiles, radar and self distrust system. The car was only in the movie for about 1 minute. We didn't get see the cars gadgets in action. The car missed one thing however. A big sign saying "BUY ME". In Tomorrow Never Dies Pierce Brosnan got a BMW750i. It Looked more like a family car. It contained all the usual refinements. 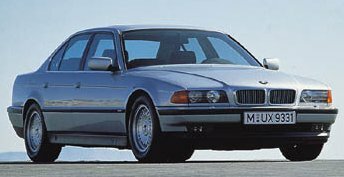 The car had spikes which were dropped from under the bumper, a wire cutter under the BMW logo, a security system, re inflatable tires, rockets under the sun roof, a finger print glove compartment and im breakable glass. The car's steering and features could be controlled with the Ericsson mobile phone. The car helps bond escape from Carvers bad guys.  It seams that Bond will be getting a new car for each movie. Whichever company pays the most.